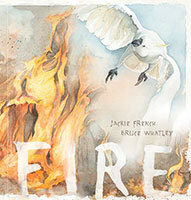 From best-selling and award-winning author Jackie French comes a new series for younger readers called The Secret Histories. When the little prince's parents leave him in charge of the kingdom, he and his friends use the ideas in the palace library books to transform the world. What is the sailor's secret about the treasure of Australia's colony? 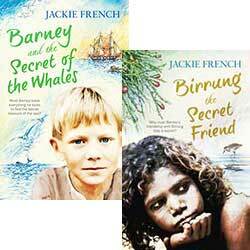 The second book in a series that explores little-known history about Australia's fascinating past. 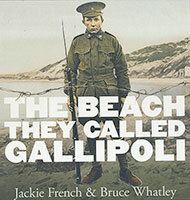 A hundred years ago, Australians and New Zealanders landed at Anzac Cove, in Turkey. It's 1854 and, on the Ballarat goldfields, men are willing to risk their lives to find freedom and make their fortunes in the mines. 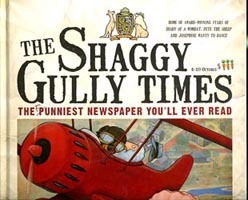 The small bush town of Shaggy Gully is home to many animals, such as local celebrity and ballerina, Josephine, and Pete the Sheep, who runs Shaun's Sheep Salon. For too long koalas have been called bears. 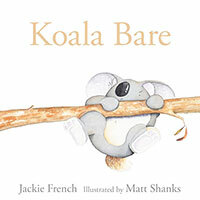 But this koala is out to prove to the world that he is BARE! All of Australia2s dingoes may be descended from one south-east Asian 2rubbish dog2 who arrived here over 5,000 years ago. This is a story about the first dingo. The people call Prince Narmer 'The Golden One'. Handsome and talented, he is destined to be King of Thinis, the greatest town in Egypt and, for Narmer, the centre of the world. By the 1790s, orphaned Barney Bean finally has his own farm in the early NSW colony. All his dreams are coming true! Black Caesar claims he is an ex-slave who vowed to be free. She sleeps. She eats. She scratches. She is training humans to become better pets. She is Mothball, a wombat with attitude.